Right from the time students get up in the morning to the time they retire to bed, the youngsters are always on their toes, lively and energetic. The morning hours are spent in the dormitories studying. The dorm master and dorm mistresses help in supervision and assist the students in their respective subjects of study. The dorm masters and dorm mistresses also help the matron in accounting for the work at the end of the month, counseling and monitoring the progress of the children. Studies aside, the children also contribute to the work in the dormitories lending a helping hand inside and outside the dormitories. Making the beds, tidying up tables, folding blankets are just but three of the tasks that the children get involved in though they are not required to, their contribution to the home chores. To inculcate a sense of responsibility, the students are assigned from time to time small tasks such as keeping cleanliness, discipline, punctuality and care of laundry work. Outstanding students are rewarded for their contribution. They are well trained in their roles that even without the matron, they can manage the whole show on their own. 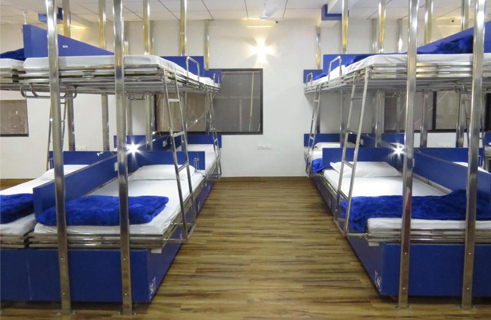 The students are accommodated in beautiful dormitories. In a sharp departure from the normal concept of dormitory where a group of children are lumped in a huge hall, only FOUR children are placed in the rooms, which have attached toilet facilities. We at APS believe that dormitories are not just residential quarters but homes for the children. With a recreation hall and a lounge, the facilities provided in the school far exceed the standards of an international school. There are separate dormitories for boys and girls, each of them maintained by a Matron and Dorm Master. The sanitary blocks are clean, well maintained and have 24 -hour supply of hot and cold water. There is a gracious and orderly atmosphere that pervades the dinning hall as students take their seats before meals, beginning with prayers. The menu includes a variety of mouth- watering dishes - North Indian, South Indian, Continental and Chinese cuisines, chaats and pizzas followed by an elaborate spread of deserts. The food served is pure vegetarian sourced from different parts of the country and abroad. There is a large assortment of dishes on the menu and efforts are made to ensure that no dish repeats over in fortnight. 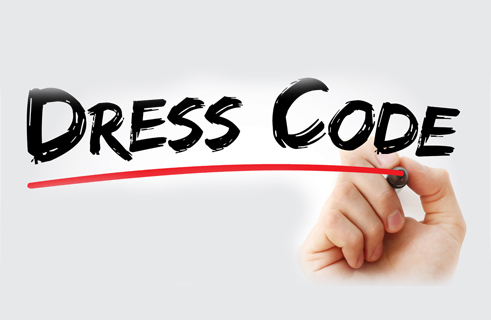 The purpose of a dress code is to help maintain an atmosphere conducive to learning, teaching and prevent unnecessary distractions on campus. Students of the school are expected to be well groomed and neatly dressed at all times. The students and staff at APS enjoy an excellent rapport. This relationship is both healthy and mutually rewarding and has proved to be beneficial in terms of understanding the children’s needs and offering solutions. 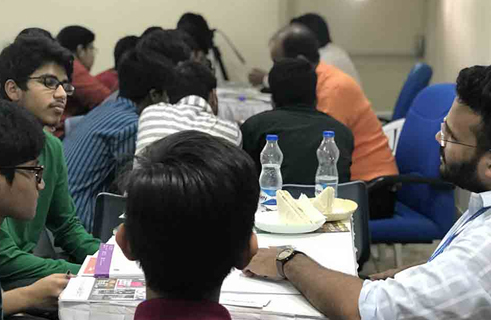 The mentor scheme, a unique system as in the ancient ‘gurukalas’ helps the teachers to monitor, record and stimulate the performance and progress of the students. The school has further enlisted the services of professional counselors, resident and guest counselor to supplement their efforts in a professional way. Suffice it to say that the student's problems are treated with confidentiality. A systematic and planned curriculum enables the students to take part in various sports disciplines identifying the potential of each child. Efforts are made to help tap and nurture the talents of the children. The daily routine begins with outdoor activities between 6.00 am and 6.30 pm. This consists of jogging, cross- country (twice week), games such as dog and boar, rat and mouse, kho kho, potato race amongst others. The afternoon sports session begins from 3.30 pm and students take part in various sports like cricket, football, basketball, tannic, horse riding, swimming pool etc.. 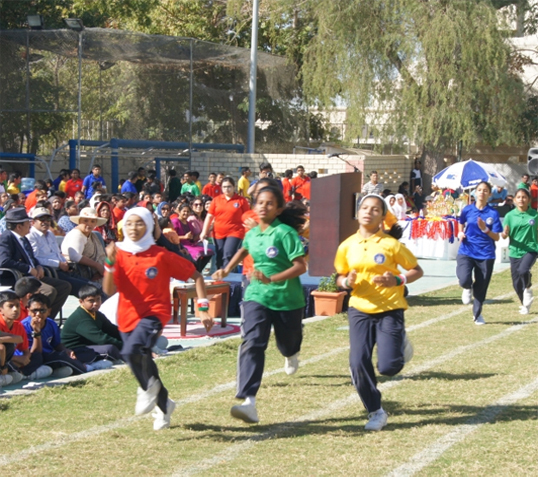 The students have learnt what friendly competition mean and play games with a sportive attitude. The latent qualities of the children are completely exposed, counseled in the sports field and proper advice imparted. The students have realized that sports is a good relaxing activity which frees the mind from accumulated tensions and make them fit to apply their mind on books in a balanced way. Facilities for indoor games such as Table Tennis are available in the dormitories and children can take advantage of during their freedom time.